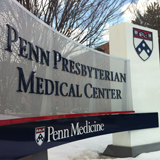 Dr. Narayan is employed by Penn Medicine. Narayan, V.; Puligandla, M.; Haas, NB. ; Subramanian, P.; DiPaola, RS. ; Uzzo, R.: Patterns of Relapse and Implications for Post-Nephrectomy Surveillance for Patients with High-Risk Non-Clear Cell Renal Cell Carcinoma: Subgroup Analysis of the Phase 3 ECOG-ACRIN E2805 Trial J Urol pii: S0022-5347 (18): 43723-8,2018. Narayan, V.; Keefe, S.; Haas, NB. ; Wang, L.; Puzanov, I.; Putt, M.; Catino, A.; Fang, J.; Agarwal, N.; Hyman, D.; Smith, AM. ; Finkelman, B.; Narayan, HK. ; Ewer, S.; ElAmm, C.; Lenihan, D.; Ky, B.: Prospective Evaluation of Sunitinib-Induced Cardiotoxicity in Patients with Metastatic Renal Cell Carcinoma Clin Cancer Res 23 (14): 3601-3609,2017. Chanzá, NM. ; Xie, W.; Bilen, MA. ; Dzimitrowicz, H.; Burkart, J.; Geynisman, DM. ; Balakrishnan, A.; Bowman, IA. ; Jain, R.; Stadler, W.; Zakharia, Y.; Narayan, V.; Beuselinck, B.; McKay, R.; Tripathi, A.; Pachynski, R.; Hahn, AW. ; Hsu, J.; Shah, SA. ; Lam, ET. ; Rose, TL. ; Mega, AE. ; Vogelzang, N.; Harrison, MR.; Mortazavi, A.; Plimack, ER. ; Vaishampayan, U.; Hammers, H.; George, S.; Haas, N.; Agarwal, N.; Pal, SK. ; Srinivas, S.; Carneiro, BA. ; Heng, D.; Bosse, D.; Choueiri, T.; Harshman, LC. : Cabozantinib in advanced non-clear cell renal carcinoma: a multicenter retrospective cohort analysis Lancet Oncol : 2018. Narayan, V.; Ky, B.: Common Cardiovascular Complications of Cancer Therapy: Epidemiology, Risk Prediction, and Prevention Annu Rev Med 69 (1): 97-111,2018. Finkelman, BS., Putt, M., Wang, T., Wang, L., Narayan, H., Domchek, S., DeMichele, A., Fox, K., Matro, J., Shah, P., Clark, A., Bradbury, A., Narayan, V., Carver, J., Tang, WH., Ky, B.: Arginine-Nitric Oxide Metabolites and Cardiac Dysfunction in Patients with Breast Cancer J Am Coll Cardiology 70 (2): 152-162,2017. Narayan, V.; Vapiwala, N.; Mick, R.; Subramanian, P.; Christodouleas, J.; Bekelman, J.; Deville, C.; Rajendran, R.; Haas, NB. : Phase I Trial of Everolimus and Radiation Therapy for Salvage Treatment of Biochemical Recurrence in Prostate Cancer Patients Following Prostatectomy Int J Radiat Oncol Biol Phys 97 (2): 355-361,2017. Demissei, B.; Finkelman, B.; Hubbard, RA. ; Zhang, L.; Smith, AM. ; Sheline, K.; McDonald, C.; Narayan, HK. ; Narayan, V.; Waxman, AJ. ; Domchek, S.; DeMichele, A.; Shah, P.; Clark, A.; Bradbury, A.; Carver, J.; Upshaw, J.; Armenian, SH. ; Liu, P.; Ky, B.: Detailed Phenotyping Reveals Distinct Trajectories of Cardiovascular Function and Symptoms with Exposure to Modern Breast Cancer Therapy Cancer : 2019. 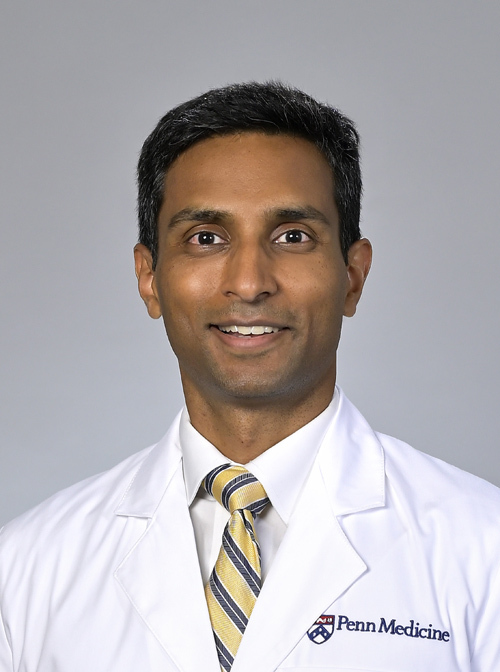 Mohiuddin, J.; Narayan, V.; Venigalla, S.; Vapiwala, N.: Variations in patterns of concurrent androgen deprivation therapy use based on dose escalation with external beam radiotherapy vs. brachytherapy boost for prostate cancer Brachytherapy : 2019. Narayan, V.; Gunnarsson, O.; Hwang, WT. ; Nathanson, KL. ; Stadtmauer, EA. ; Vaughn, DJ. : Risk-Stratified Initial Salvage Therapy for Relapsed or Refractory Metastatic Germ Cell Tumor Clin Genitourin Cancer 14 (6): 524-529,2016. Narayan, V., Haas, N.: Axitinib in the treatment of renal cell carcinoma: patient selection and perspectives Int J Nephrol 9 : 65-72,2016. Demissei BG; Finkelman B; Hubbard RA; Smith AM; Narayan HK; Narayan V; Waxman AJ; Domchek SM; Shah P; Ky B.: Distinct Phenotypes of Cardiovascular Function in Response to Cardiotoxic Breast Cancer Therapy J Am Coll Cardiology : 2018. Zhang, KW; Finkelman, BS; Gulati, G; Narayan, HK; Upshaw, J; Narayan, V; Plappert, T; Englefield, V; Smith, AM; Zhang, C; Hundley, WG; Ky B.: Abnormalities in 3-Dimensional Left Ventricular Mechanics With Anthracycline Chemotherapy Are Associated With Systolic and Diastolic Dysfunction JACC Cardiovasc Imaging 11 (8): 1059-1068,2018. Narayan, V.; Hwang, WT. ; Lal, P.; Rosen, M.; Gallagher, M.; O'Dwyer, P.; Vaughn, DJ. : Cyclin-Dependent Kinase 4/6 Inhibition for the Treatment of Mature Teratoma: Long-term Follow-up of a Phase II Study Clin Genitourin Cancer 14 (6): 504-510,2016. Narayan, V.; Deshpande, C.; Bermudez, CA. ; Golato, JM. ; Lee, J.; Diamond, J.; Vaughn, DJ. : Bilateral Lung Transplantation for Bleomycin-Associated Lung Injury Oncologist 22 (5): 620-622,2017. Narayan, V.; Mamtani, R.; Keefe, S.; Guzzo, T.; Malkowicz, SB. ; Vaughn, DJ. : A Phase II Study of Cisplatin, Gemcitabine, and Lapatinib as Neoadjuvant Therapy for Muscle-Invasive Bladder Cancer Cancer Res Treat 48 (3): 1084-91,2016. Sharma, P.; Pachynski, R.; Narayan, V.; Flechon, A.; Gravis, G.; Galsky, M.; Mahammedi, H.; Patnaik, A.; Subudhi, S.; Ciprotti, M.; Duan, T.; Saci, A.; Hu, S.; Han, GC. ; Fizazi, K.: Initial results from a phase II study of nivolumab (NIVO) plus ipilimumab (IPI) for the treatment of metastatic castration-resistant prostate cancer (mCRPC; CheckMate 650) American Society of Clinical Oncology Genitourinary Cancers Symposium, San Francisco, CA J Clin Oncol 37 (suppl 7S; abstr 142): 2019. Narayan, V.; Gladney, W.; Plesa, G.; Vapiwala, N.; Carpenter, E.; Maude, SL. ; Lal, P.; Lacey, S.; Melenhorst, J.; Sebro, R.; Farwell, M.; Hwang, WT. ; Moniak, M.; Gilmore, J.; Lledo, L.; Dengel, K.; Marshall, A.; Coughlin, C.; June, CH. ; Haas, NB. 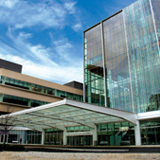 : A phase I clinical trial of PSMA-directed/TGFβ-insensitive CAR-T cells in metastatic castration-resistant prostate cancer American Society of Clinical Oncology Genitourinary Cancers Symposium, San Francisco, CA J Clin Oncol 37 (suppl 7S; abstr TPS347): 2019. Narayan, V.: Metastatic Prostate Cancer Radiation Oncology: A Question Based Review 3rd Edition : 2018. Narayan, V.; Vaughn, D.: Pharmacokinetic and toxicity considerations in the use of neoadjuvant chemotherapy for bladder cancer Expert Opin Drug Metab Toxicol 11 (5): 731-42,2015. Osterman, CK. ; Babu, DS. ; Geynisman, D.; Lewis, B.; Somerd, RA. ; Balar, AV. ; Zibelman, MR.; Guancial, EA. ; Antinori, G.; Yu, S.; Narayan, V.; Guzzo, TJ. ; Plimack, ER. ; Vaughn, DJ. ; Fung, C.; Mamtani, R.: Efficacy of Split Schedule Versus Conventional Schedule Neoadjuvant Cisplatin‐Based Chemotherapy for Muscle‐Invasive Bladder Cancer Oncologist : 2019. Osterman, CK. ; Alanzi, J.; Lewis, JD. ; Kaufman, EL. ; Narayan, V.; Boursi, B.; Vajravelu, RK. ; Scott, FI. ; Malkowicz, SB. ; Mamtani, R.: Association Between Symptomatic Versus Asymptomatic Recurrence and Survival in Bladder Cancer Clin Genitourin Cancer 16 (3): 235-239,2018. Catino, AB; Hubbard, RA; Chirinos, JA; Townsend, R; Keefe, S; Haas, NB; Puzanov, I; Fang, JC; Agarwal, N; Hyman, D; Smith, AM; Gordon, M; Plappert, T; Englefield, V; Narayan, V; Ewer, S; ElAmm, C; Lenihan, D; Ky, B.: Longitudinal Assessment of Vascular Function With Sunitinib in Patients With Metastatic Renal Cell Carcinoma Circ Heart Fail 11 (3): e004408,2018. Li, L.; Huang, L.; Vergis, A.; Ye, H.; Bajwa, A.; Narayan, V.; Strieter, R.; Rosin, D.; Okusa, M.: IL-17 produced by neutrophils regulates interferon gamma-mediated neutrophil migration in mouse kidney ischemia-reperfusion injury J Clin Invest 120 (1): 331-42,2010. Hwang, A.; Narayan, V.; Yang, YX. : Type 2 Diabetes Mellitus and Survival in Pancreatic Adenocarcinoma: A Retrospective Cohort Study Cancer 119 (2): 404-10,2013.